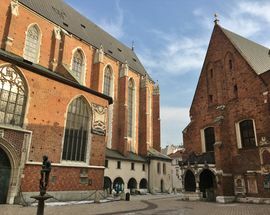 The square around St. Mary’s Basilica, now replete with tourists and a favourite spot of street performers, was once a cemetery for members of the local parish, with the boundaries still demarcated using white cobblestone. 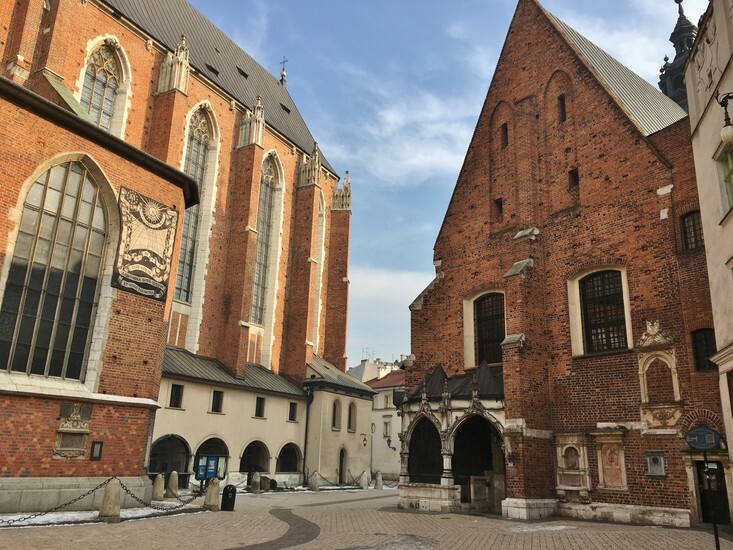 Its location next to the hustle and bustle of the main square meant that the mood was far from sombre, with loud poultry vendors mixing with mourners during the day, and thieves, outlaws, and prostitutes taking refuge inside the graveyard walls at night. 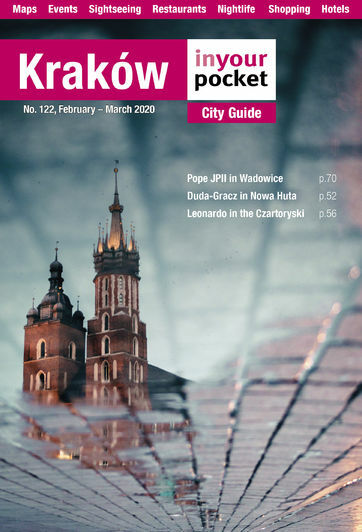 Founded back in 1222, the same time as the church, the necropolis was liquidated in 1796 after the bishop and the Austrian authorities both came to the conclusion that burying the dead within city limits isn’t the most hygienic idea. 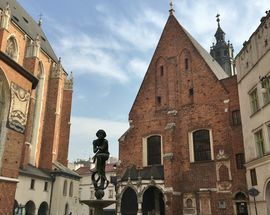 The centre of the square is now inhabited by a bronze figure of a Christian prophet sitting atop a small fountain; the statue is an enlarged replica of a figure found inside St. Mary's, on the frame of the famous Wit Stwosz (Veit Stoss) altarpiece. Named Pigeon Bath, the sculpture was gifted to the city by local craftsmen in 1958. 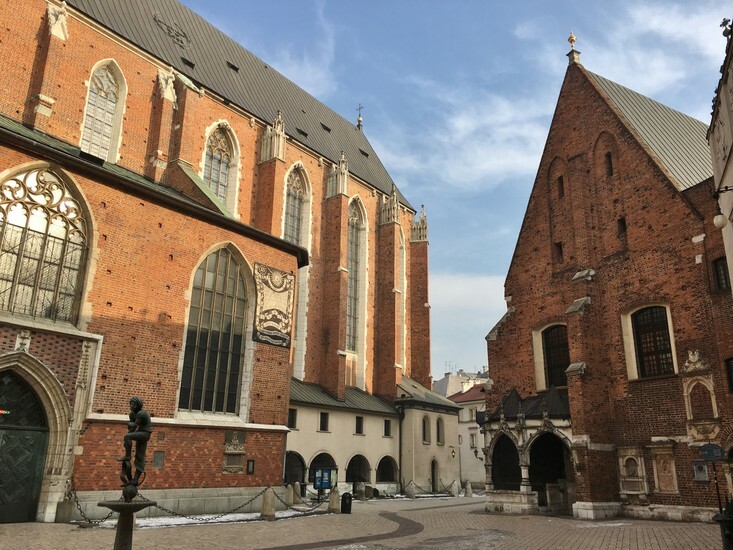 The square also accommodates a second, smaller house of worship: the gothic St. Barbara’s Church, dating back to the 14th century and sitting atop the remains of Jakub Wujek, a 16th-century Jesuit priest who was the first person to translate the Bible to Polish. 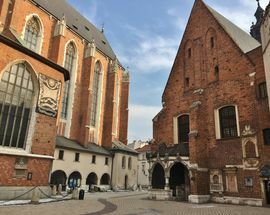 Behind the church (St. Barbara’s facade actually faces Mały Rynek) is the Ogrojec, a Late Gothic annex once serving the function of a cemetery chapel. 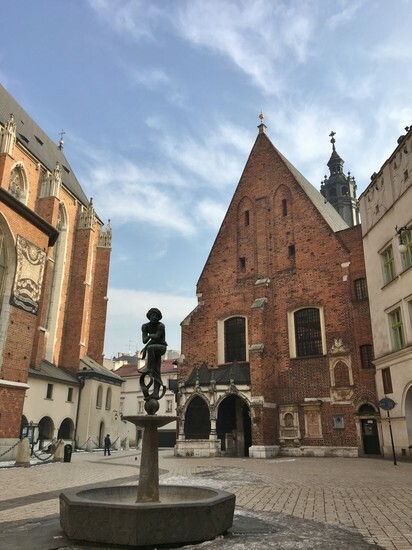 Probably the most famous town house ringing Mariacki Square is the Hipolit House (Plac Mariacki 3), a merchant family home turned into a museum. 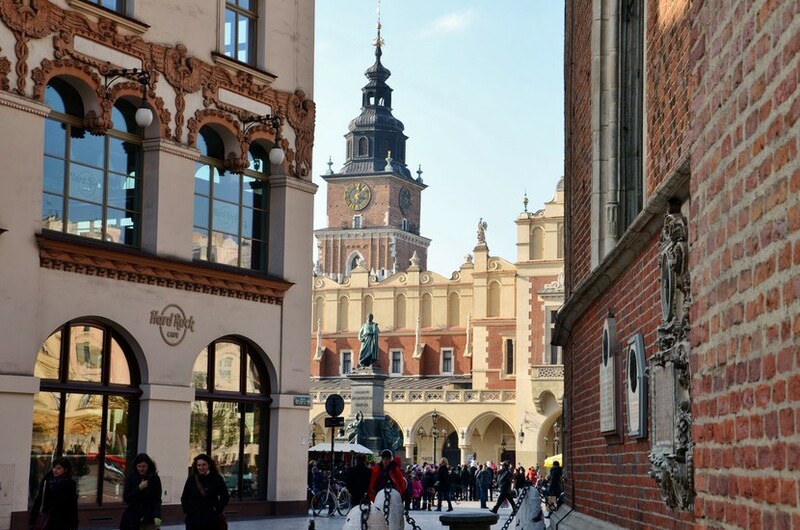 Another building of note is the Czynciel House (Rynek Główny 4), a splendid Art Nouveau specimen with caduceus and folk motifs built in 1906-1908, which originally housed one of the first modern department stores in Kraków and is now occupied by Hard Rock Cafe.